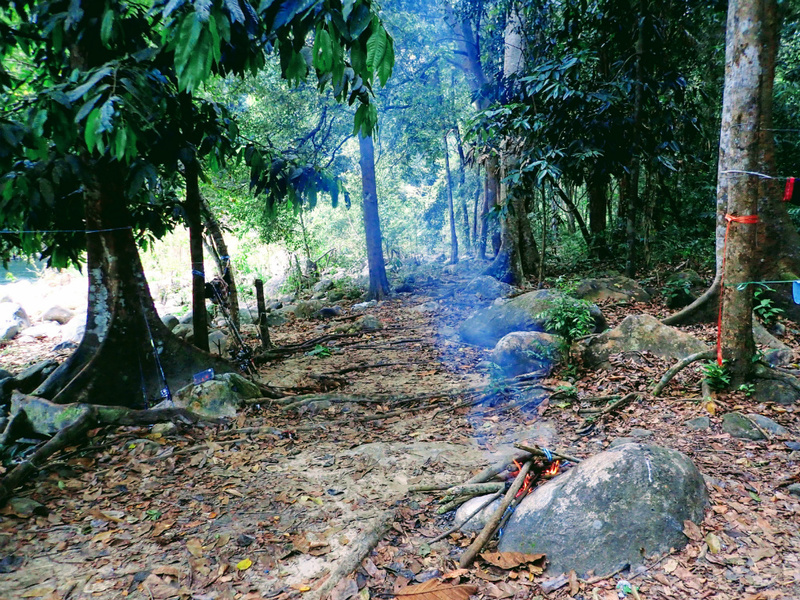 The Royal Bloodline, a pathway to the oldest jungle in the world. Royal Belum State Park. It was a very cold morning when I woke up. I could hardly sleep, as I wake up it was still pitch black. The sound of the water crushing the fallen granite stone that has been here for centuries was refreshing. As I know today mark the first day that we are going to do our fishing out here in the heart of Royal Belum. Morning is always the best time to head out fishing here. Haszuan wake up and I ask him the time. It’s 6.30am. We turn the LED that keep illuminating on our fly-sheet. As it turned off, the morning light slowly starts to creep on and show the path to our fishing ground. All hope is not lost, we continue on fishing but morning of the first day was nothing. 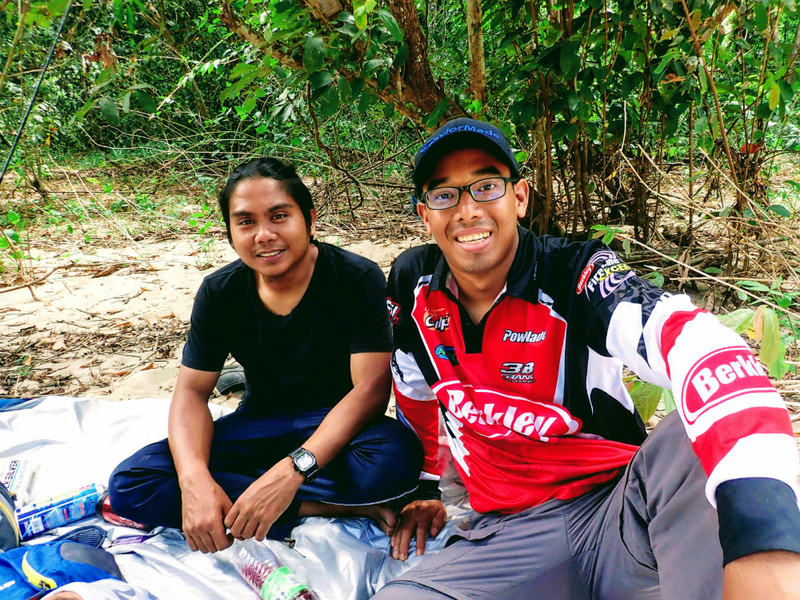 As move closely to the sandy banks, Azrul, Megat and Saiful were there casting lures while Megat bottom fishing with palm oil kernel. They skunked too but Megat had a quick take on his rod. As I was there, at distance, furious splashes of water indicating a fish were lurking in that area. I regretted for not bringing my Daiko rod. Because I have no lure that is heavy enough, or rod long enough to do a 20-30m cast on a spinning outfit. I did cross the river on the far end but still not in range. Crystal clear water, uhm uhmm not good for fishing. Put down our lures and its time for some Bait Fishing! This trip, I’ve already set my mind that I will be spending more time on fishing with bait. I had fair success the last time when I was here but never really commit to fishing with bait. 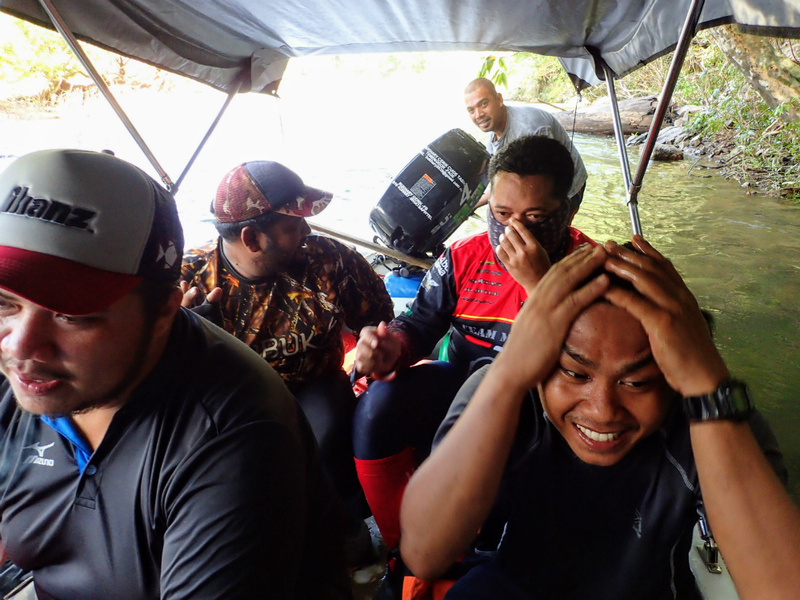 Megat and Saiful head back to base but me, Mahfuz, Azrul and Haszuan stayed on to do some bait fishing. The first hour was dead quit. Not even a nibble on the rod tip. We keep a very systematic bait checking of every 30 minutes. We were about 10 meters from the rod. Just at the edge of the tree line to seek cover from heat. We get a ground sheet laid on the sand, it was 100x better than our base camp. It’s like a soft bed, perfect. As we were on our 2 round to change the bait. I was maybe about 5 minutes just after I sit down. BOOM!! The reel were spilling line and the rod bend nicely to set the hook properly. Luckily I had my metal rod holder, otherwise, with such ferocious attack, it will end up at the bottom of the river. Then it’s a 10m dash to the grab the rod and reel it as quickly as possible. It put up a good fight, and it’s coming closer to us. 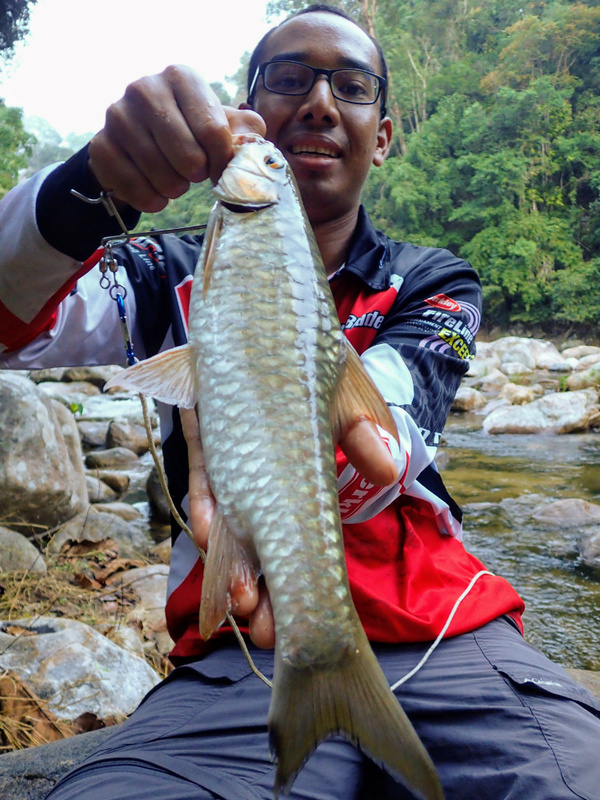 Copper Mahseer!! or Tengas were our first catch of the day. At least on this far side of the river. Another team head upstream to do some bottom fishing too. It was a good size, fit nicely on our dinner table haha. 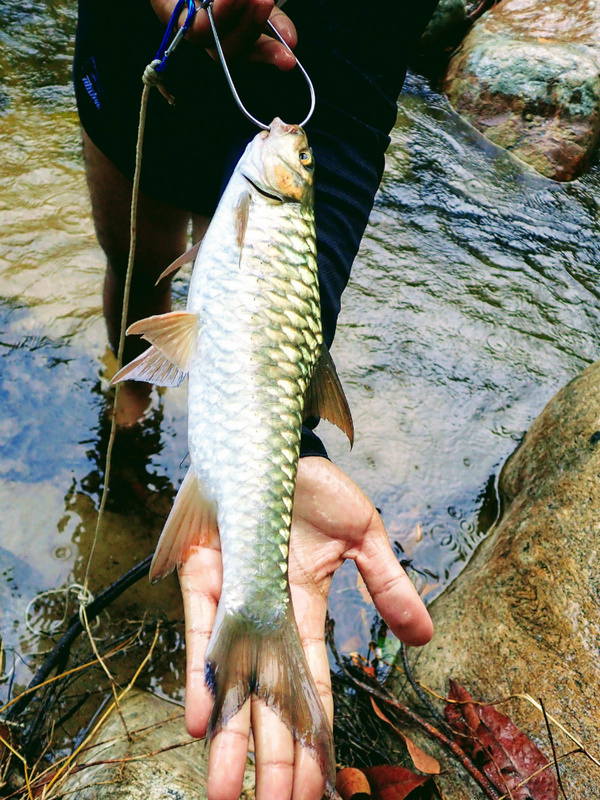 Copper Mahseer or locally known as Tengas, were one of the 3 kings of this fast flowing river! Scratch that from the bucket list of 2017! We stayed on for another hour, but my fish was going to be the last of day 1 morning session. We packed our stuff and head back to base camp. I was feeling a bit hungry to be honest, with all that running and fighting the fish hahaha. The guys were clapping when we emerge from the far end of the pathway. This is must have been the feeling when people centuries ago would return with a fish on his hand. Knowing that he can feed his family today. Tough life if you’re not catching anything, but that is how it goes. 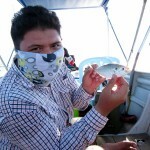 Mahfuz were running a small competition, giving away a nice hand knife for the biggest fish of the trip. I though I was in the running to bag that gift but Fitri has the final laugh! hahaha. Siot! Even bigger Tengas than mine! 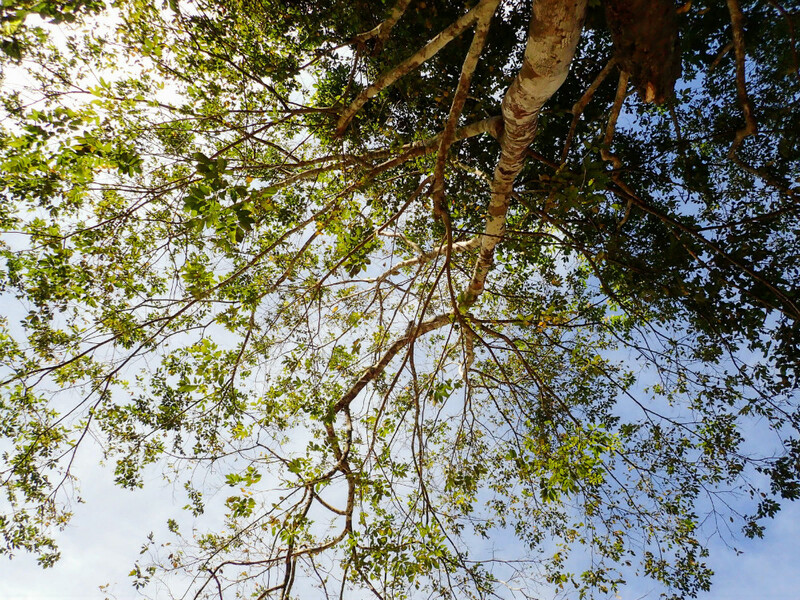 While laying down and hoping for a second one, this tree provide us cover from the heat. 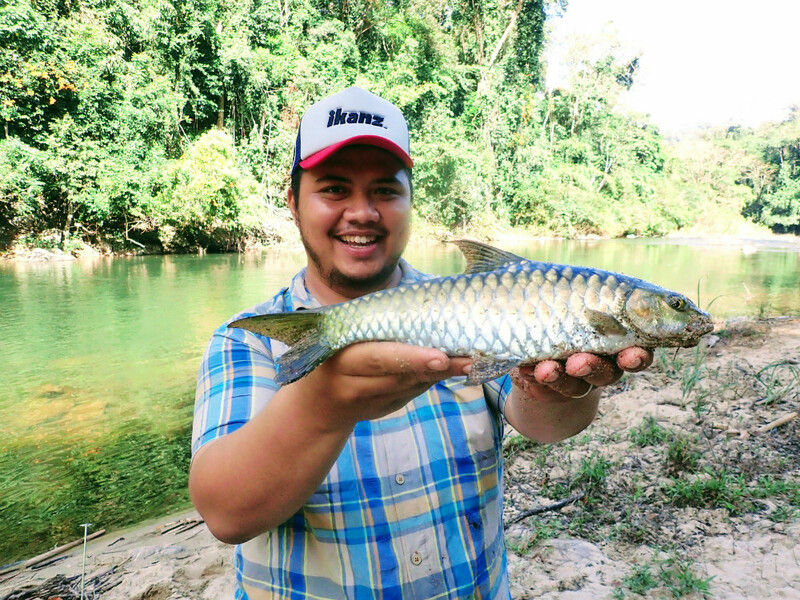 Fitri, save the last laugh for after scoring this beautiful Copper Mahseer further upstream. We had a simple lunch that day. Sardines, fried eggs and rice. A cup of Joe for the drink and off to the river for a late day bath! Perfect! 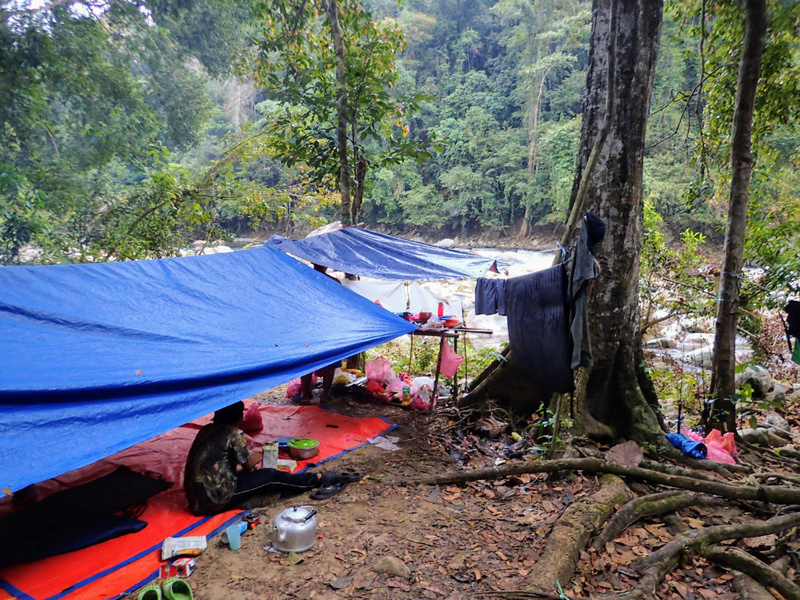 It was perfect base, although along the edge of the river we can clearly see the debris when the river is being hit by sudden flood water the came from upstream miles away from our base camp. The basic rules is, you need to camp further high up from the water line. Other wise, you will end up dead when it happens, swept way by the flood. Not only the water, its like grinder as usually it will carry debris. I rested for a while and the other packed up to head upstream from the base camp. Me and Mahfuz followed later but the area was a bit cramp as we have all the guys there. 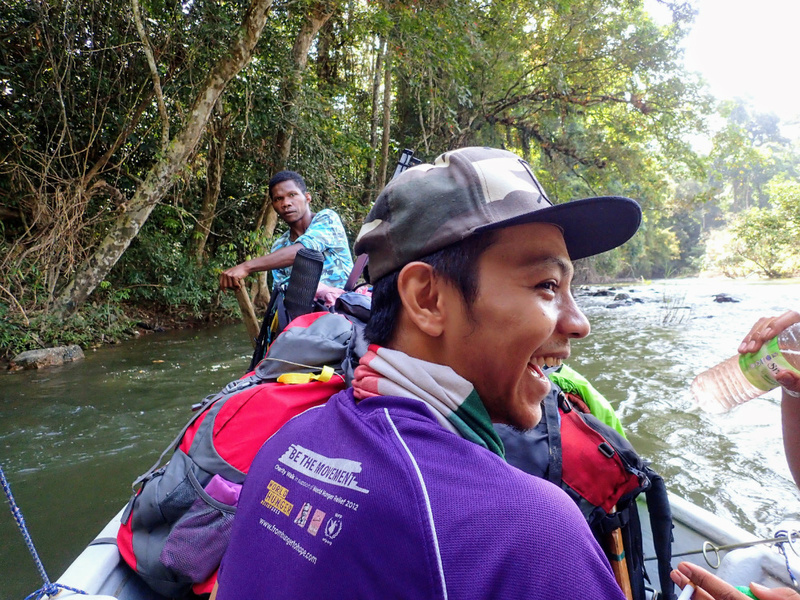 Saiful and Megat opted a different pathway and fish close the base camp. I stayed at the place for while. Enjoying the breeze that blows by, dropping hundreds of dried orange leaves from the tree high above. It was an awesome sight. I was captivated by it and my mind switch off from fishing. Just enjoy nature. We can also see some Hornbills, two of them high above the tree line. It is a hidden treasure not known even by local traveler. You can definitely find peace here. Away from civilization. A place of Zen. Beautiful and Unique. Only here in Royal Belum State Park. I walk away from that place, and head down to the sandy beach. Hoping that I could repeat the same result this morning. Still, that was my last fish of the day. Fell good to be alone out here. Just for a while. When it is just you and a fishing rod. Nothing else. Something that I look forward in this fishing trip. A chance to sit down, and plan the future of Fishyology pathway. It can never be the same. Soon we will run out of ground to cover west Malaysia, and now the best time go farther to look for more experience and adventure that I can personally share with you guys. This mark the end of day one, we continue our night fishing but still no luck. We end-up counting thousands of stars that were shining brightly above our head. Day 2 – …. and Repeat! We repeat the same routine in day 2. The water once again cleared up to an even clearer clarity. I decided to ditch lure fishing and just focused purely on bait fishing. At the sandy beach, I continue on chumming the water with palm oil kernel. 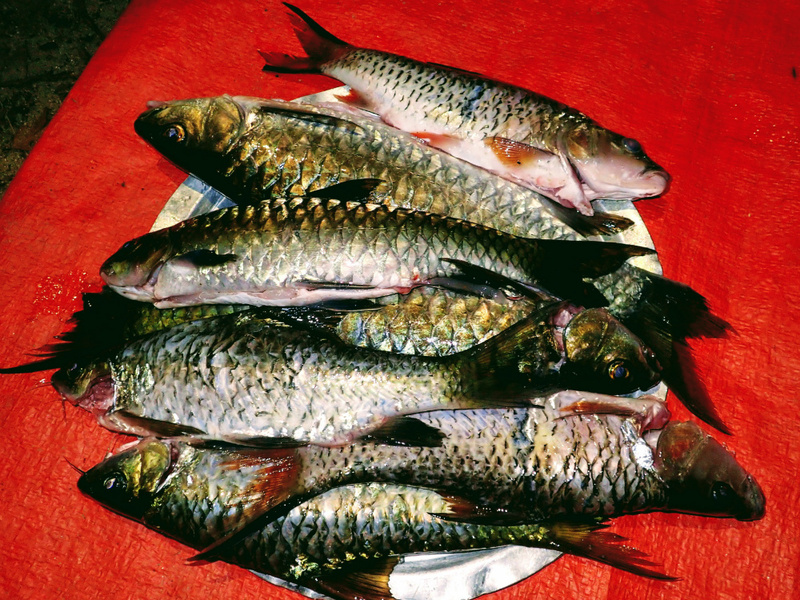 As the river drift the bait, fishes starts to go frenzy eating the scrumptious debris. As it gets going, finally I can see a nibble at the end of the rod. The fish clearly likes it, but I suspect that the size of the fish is very small. 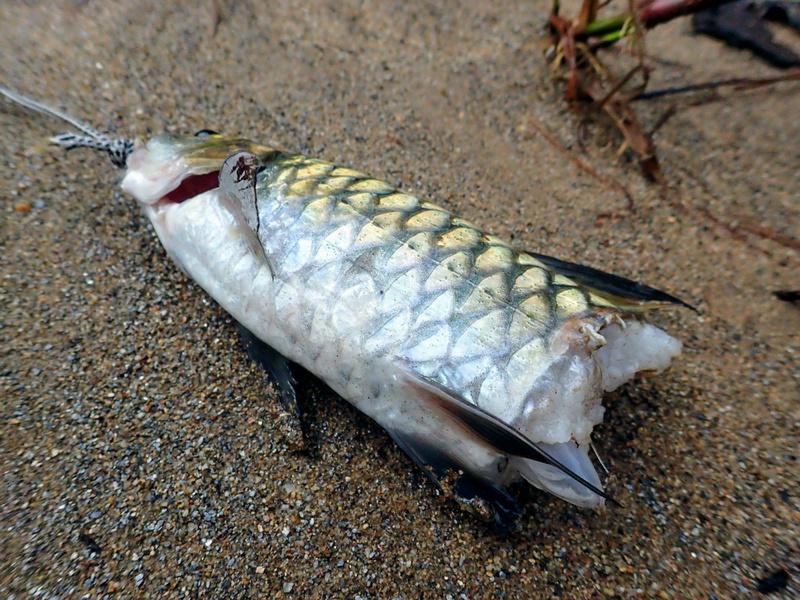 Reports by other group suggest that they have seen bigger size Tengas would emerge from the rocky river and the bait. Saiful lost a few on day 1, not small size but good size takers. This is exactly like Sungai Sia, Raub where they have a strong sense where they can detect human presence. They are very stealthy and rarely took the palm oil kernel with hook. Radhi were scoring a lot, at least now 2-3 Tengas. I was alone this morning until the rest of the geng showed up bringing supplies to last the day. Good old Meggi for breakfast. 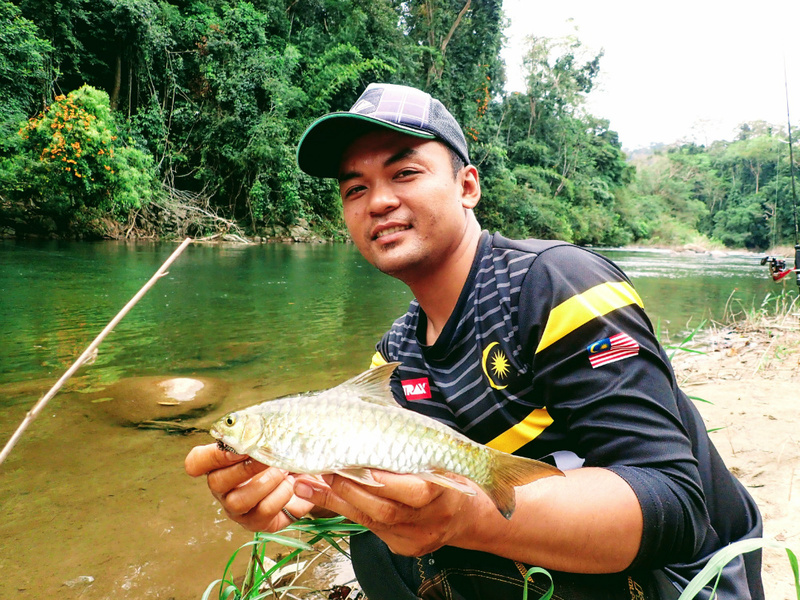 Fitri again scoring a nice Tengas or Copper Mahseer. Fish aren't baiting!! Time for some photo shoot! Patiently waiting for the fish to took our bait. 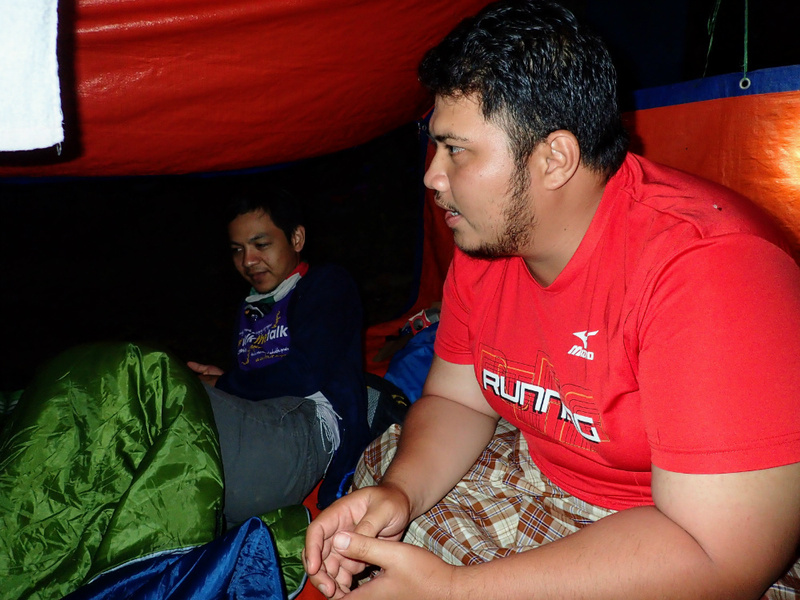 Azrul Fahmi, our organizer! Marking the GPS Coordinate. Skunked my whole day! Patience are thinning and stomach now growling. Its time to head back to base. Bukhary our guide started cooking some native catfish, caught last night. Masak Lemak Cili Padi Baung! Fulfilling lunch! The sweet taste of Baung is beyond compare. I had enough of Sardines! and tonight we will cook all the fish we caught over the pass few days. Asam Pedas! Nothing major are happening at this time. Guys still going out fishing in the evening, and still go back to the same spot hoping for another miracle to catch fish in this condition. We decided to cross the river and fished closer at the spot that we saw a big splash a day earlier. 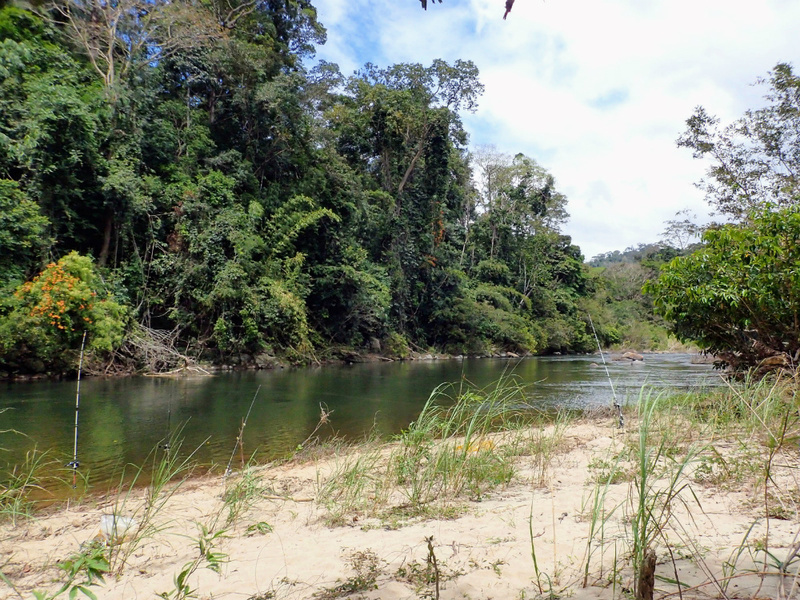 The river was shallow, at least about half of my height, and what suprises us is the number of Sebarau swimming in the area. We cast out our smallest spoon but still nothing! They weren’t even chasing it! At that point is actually pointless to keep on fishing, as it will be difficult to entice them in this clear condition. It was raining when were out in the middle of the river. We quickly head up as to stay in the water is unwise. Back at the base camp, the other guys were setting camp fire and starting to cook dinner. It did went down near the base camp with lure again, and scored a small Sebarau. Where the big ones?? Tough luck. All that aside, now its time for shower and get ready for dinner. Bukhary is preparing his version of natural Asam Pedas. 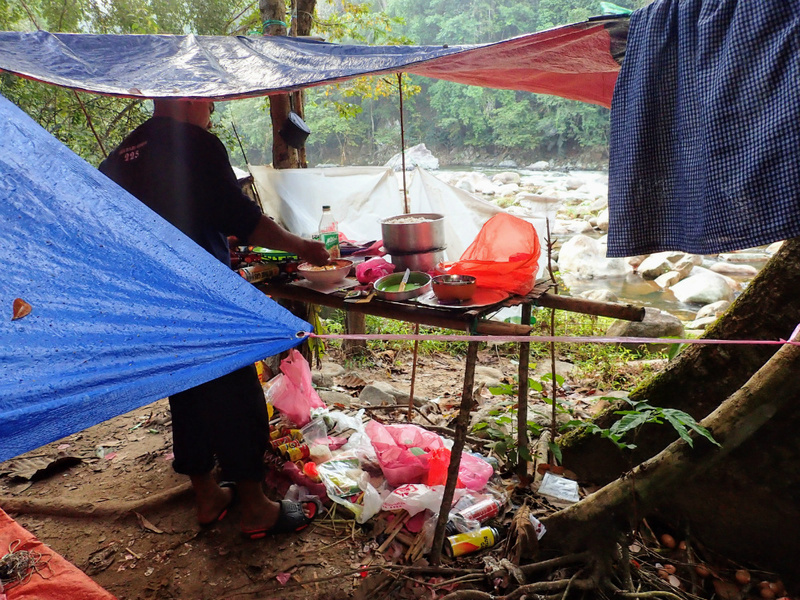 A simple ingredient without dried chili paste to cook Asam Pedas out here in the Jungle. Dinner was fantastic, the nice oily flesh of Tengas will be a 5 star cuisine here. Haha. Nothing much that we can do at night. Fitri and Radhi ventured out again fishing at night, while Megat finally score another table size Tengas and Baung. I decided to rest as tomorrow will be another journey back to the boat. Pathway to the sandy beach area..
Asam Pedas Tengas on the way boys! Overall the journey out here was amazing. At least 2 out 3 kings of the mountain river were on the list. 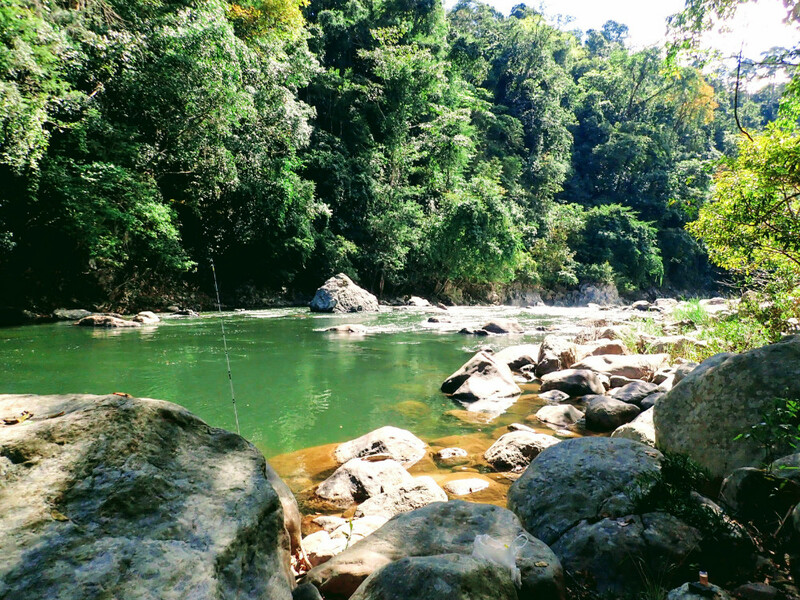 Malayan Mahseer will have to wait for another time when we reach here. I would like to say thank you to Azrul Fahmi for organizing this trip. The rest of the team members for a great experience and privilege to fish with you guys. 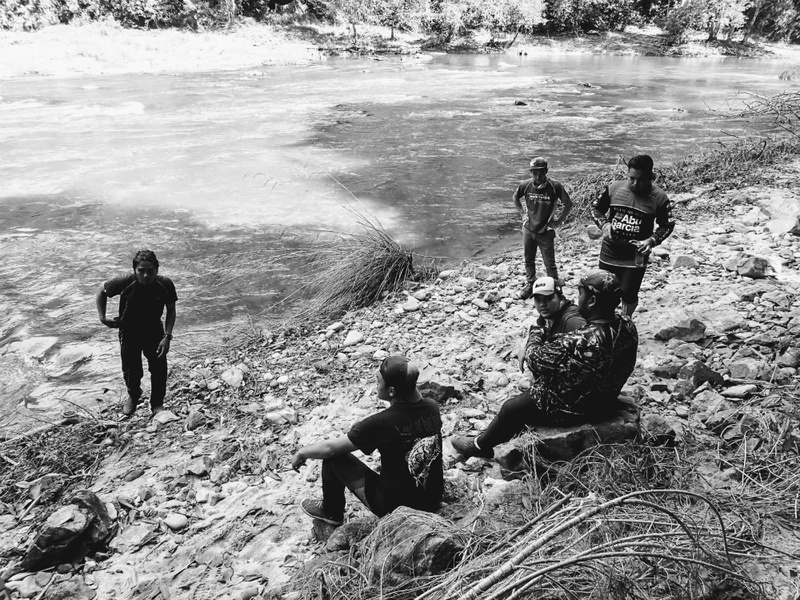 Finally not forgetting Mr Bukhary Gerik and Rambo for guiding all the way to Jeram Ketir, Royal Belum. Thank you for reading and relive our journey. Radhi personally cleaned the fish and it is ready! Time to go to bed! Tomorrow will be a long walk home. 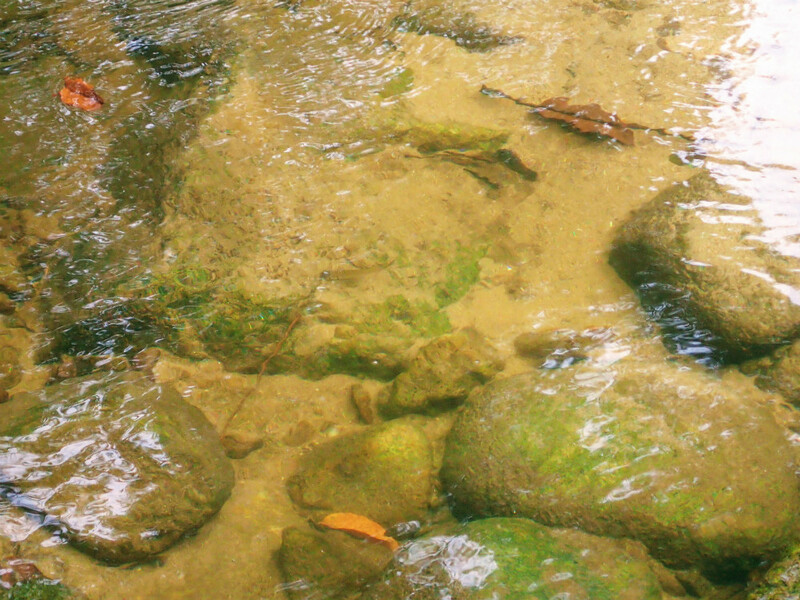 Radhi's fish become a victim to the Jungle Malayan Otter! 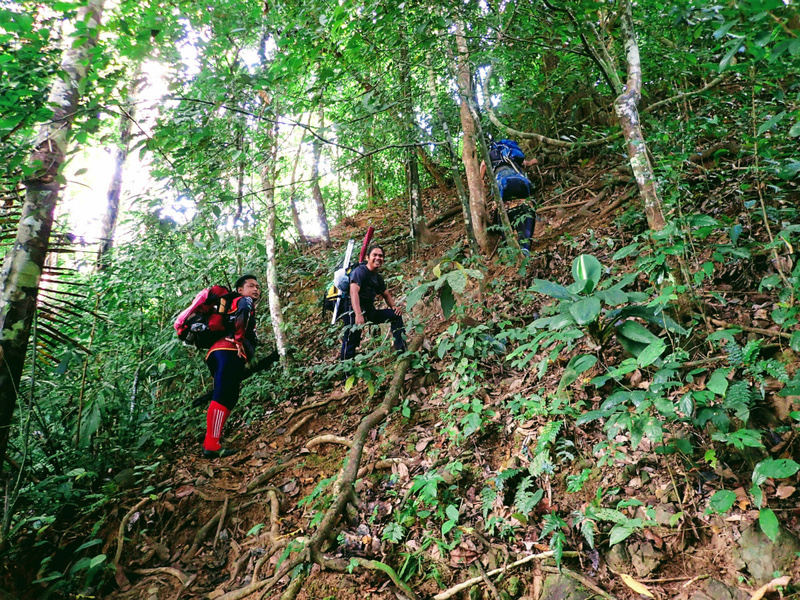 Uphill climb was easy with less than 3kg backpack! 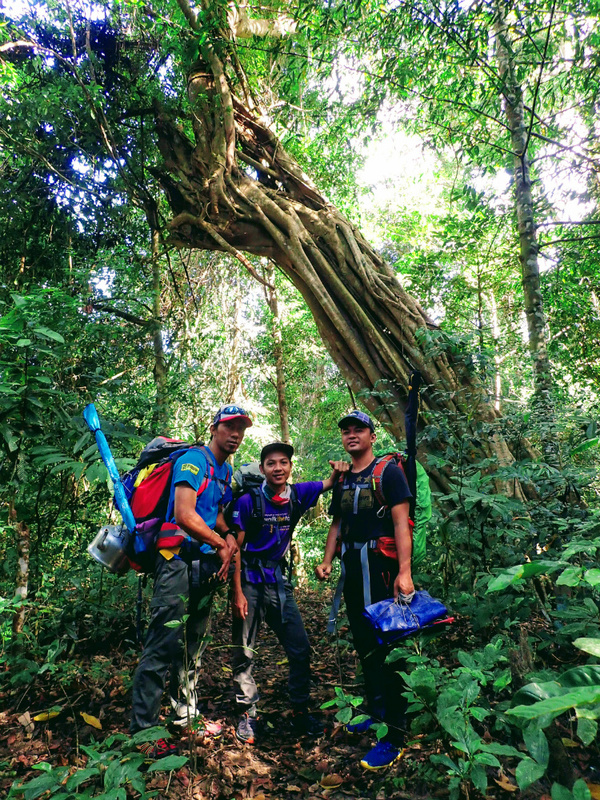 Azrul, Haszuan and Fitri posing again..
After 1.5 hours of quick walk through the thick jungle, finally our last stop before the boat pick us up! Candid shot! Finally its over!!!! 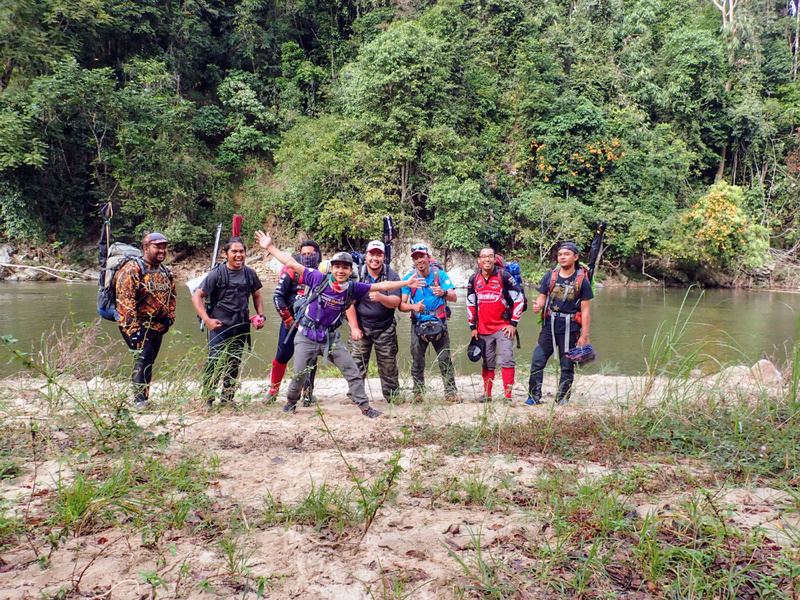 JERAM KETIR, ROYAL BELUM 2017 - From Left, Saiful, Radhi, Haszuan, Megat, Noru, Azrul, Mahfuz and Fitri. 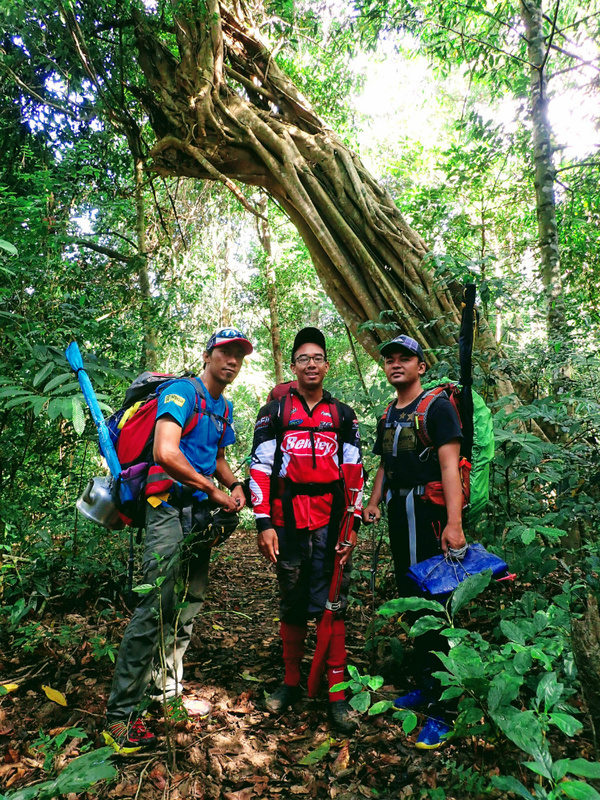 Special Thanks to our guide, Bukhary Gerik and Rambo! !